Every student can their first essay through a vivid visualization. Maybe they don’t remember the title. Maybe they have no idea what they wrote. They do, however, remember the feeling of discomfort this assignment imposed. It’s a format that sets a whole other challenge. You’re not getting a book and learning what they teach you. Instead, you’re asked to dig deep inside your thoughts and bring them to the surface. After all those attempts of your professors to teach you how to think, now they ask you to think with your own head. Why do we pursue the goal of higher education, anyway? Is it all about learning how to criticize governments and gaining skills that would allow us to accumulate wealth? Below that surface, education is only loosely related to money goals and mundane values. It’s about understanding the rational and ethical dimensions of human life. In a society based around money goals, it’s liberal education that sets us free from the blind adherence to massive consumption. It’s about raising fundamental questions, engaging critical thought, and inspiring imagination in an environment that pushes us to conform. Not many students realize this, but liberal education is about turning us in the type of rebels who can change the world for the better. Essay writing is a crucial element of the process of thought transformation. Acquiring and reproducing knowledge are not the only goals a student is aiming for when attending higher education. Universities also teach them how to transform and recreate knowledge through strong argumentation. They present those structured arguments through essays. 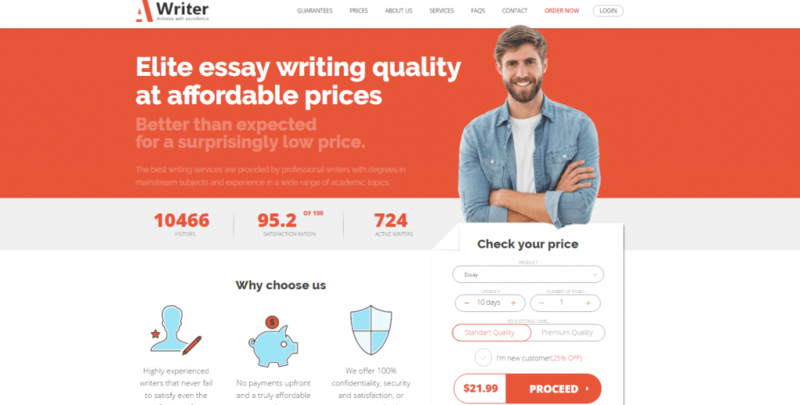 Before writing their first paper, students wonder: “what is an essay?” In its simplest definition, the essay is a paper characterized by a rigid structure, specific standards of rhetoric, and assessment demands. Its normative structure instructs the students how to express themselves critically and creatively within a format that’s easy for the reader to follow. Most students are terrified by these requirements. They perceive the mandatory task of writing essays as a pressuring, unnecessary aspect of education. We should change that. An essay assignment does not dictate what students are ought to think. On the contrary: it encourages open-minded inquiry and independent reasoning. It teaches a student how to reconsider the ideas they receive and challenge all generalizations. 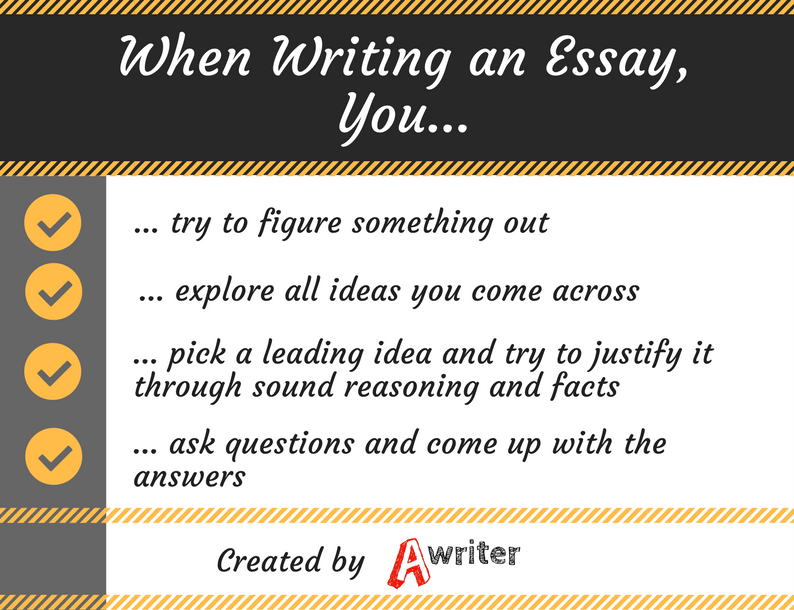 With time and practice, essay writing can turn a student into an informed, insightful, and intelligent individual. Throughout history, the essay genre has seen a lot of shifts and transformations. Maybe it will be easier for us to understand its importance to the development of critical thought if we see and understand its origins. The history of essay writing is more amusing than most of us anticipate. In literature, this genre is associated to Michel de Montaigne, Ralph Waldo Emerson, Soren Kierkegaard, Albert Camus, and other great thinkers. When we read their essays, we get the impression that the format is much different from what students are required to write these days. The format is different. The essential purpose of an essay, however, remains the same: an expression of a critical thinking process. Montaigne was the first one to use the term essay for his own work. It was derived from essayer, a verb that means to try in French. The term is a good definition for the genre itself. An essay is an attempt to structure thoughts and put them into writing that argues and convinces. Montaigne was not the first one to write essays, though. His work was inspired by Plutarch, an ancient philosopher and biographer (46 AD – 120 AD). His Moralia is a collection of writings about ethics, literary criticism, declamations, political ideas, polemics, and advice. That was an excerpt from Plutarch’s essay On Education. Let’s leave the moralization aside for a moment. It was a different time, so Plutarch’s ideas may not be close to a modern man’s perception. Let’s look at the form. It’s not a novel nor a poem. It’s not a biography. It’s an expression of personal opinions through argumentation. We may even recognize the thesis statement along this introduction. It’s an essay! Montaigne took things further. His main attempt was to develop a character called Myself. It’s a character that’s hard to digest, but impossible to ignore. From today’s perspective his essays are close to a thriller. That was the first sentence of Montaigne’s essay Of Vain Subtleties. It’s a long one. Some would say it’s flowery language. It’s not. It’s what we call style and unique voice, which this essayist certainly didn’t lack. It’s also critical thought, which has always been a founding principle of education. Montaigne had a superpower: he turned essays into bestsellers. Every French citizen with classical education and a philosophic bent was reading his books. He became a celebrity, who dined with aristocrats and corresponded with beautiful, intelligent women. Who would’ve thought that the sole act of writing essays could get someone there? It’s not just the essay. It’s the critical thought. A great essayist is kind of sneaky. They lead you right where you want to go. They might even take you a bit further. By the end of an outstanding essay, you know a lot about the author’s point of view. However, you’re also left with something to think about. A pragmatic author has a goal to make people reconsider what they thought they knew. Maybe you won’t adopt their moral judgements. Maybe you’ll disagree. But you’ll think. And that’s the main goal of essay writing: exposing critical thought that makes the reader think. An essay teaches you how to reconsider the ideas you have and the ones you explore. You learn how to evaluate competing and controversial ideas and find your own point of view somewhere along the way. It’s about teaching you how to expose informed, considered, and convincing judgements. A college or university professor is focused on evaluating the student’s subject knowledge. That’s why we have to take tests and exams. However, the educational system has to develop and evaluate a student’s authorial voice, too. That’s because we all need to establish a distinctive presence in society. The authorial voice, as a crucial component of successful education, is being developed through critical thinking and writing. That’s why essays are an inevitable challenge on the journey of education. Harvard established its Department of English in 1876. During that time, American universities imported an important idea from the German educational system: professors should not only teach, but research as well. This model forced the scholars to focus on composition and critical thought not only when discussing literature, but when exploring all kinds of topics as well. This system had a drawback: an expert in any field needed academic writing skills. The need for developing the skill of critical writing was obvious. Somewhere along the way, the educational system revived the art of writing essays. Good writing is convincing even when you don’t know all the right answers. A great writer can convince us to think by merely exploring a topic. No one has definite answers about the existence or nonexistence of the soul, but we’ve seen impressive essays arise from that topic. To understand the real importance of an essay, we’ll have to go back to the root of Montaigne’s term: essayer, which means to try. When writing an essay, you’re trying to figure something out. You’re exploring all ideas you come across. You pick a leading idea and you try to justify it through sound reasoning and facts. That process is in the heart and soul of every new invention and revolutionary idea. That’s what each essay is teaching us: to ask questions and come up with the answers. In its essence, the essay is a polished-up flow of thoughts. It’s an argumentation that emphasizes a central thread and lets us express ourselves. Although it comes to students as a shock, it’s a challenge with a positive connotation to it. It pushes them away from the habit to memorize facts and paraphrase the contents of books. It teaches the art of critical thought.